Your company doesn’t have a customer experience problem…YOUR COMPANY HAS A HIRING PROBLEM! This is the message that I hammer home in this video. If you’re having trouble providing a great customer experience, your organization may have members that aren’t a culture fit. In this video, I’m going to share my ironclad interview process which has helped my company deliver a legendary customer experience. 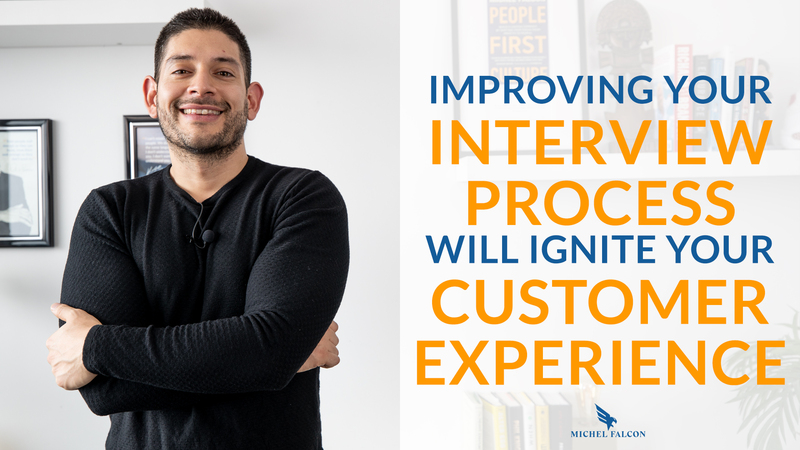 Stay tuned to the end because I’m going to take you through my six-step interview process to find customer-centric team members. My industry is hospitality. Maybe yours is telecom, retail, or dentistry. Regardless of your industry, the thing that we share in common is that we must deliver an amazing customer experience to beat our competition. Another thing that we share in common is we must be two things. We must be product and people-centric. In order to be people-centric, we must properly recruit and onboard customer-centric employees. What is hospitality known for? Well, it’s known for a couple of things, one of which delivering an amazing customer experience is a must have, not a nice to have. The other thing that it’s recognized for is high employee turnover. Knowing this, I knew I needed to create a solution and process to be able to overcome this challenge. So I created a six-step interview process. Now whether you’re in hospitality or not, this six-step interview process has been adopted by companies in many different industries around the world after I’ve presented it to them during my keynotes and my private workshops. Every company has some sort of hiring or interview process, but based on my 10 years of experience, what I’ve recognized is that too many organizations are putting too much emphasis on the skillset and identifying if the individual that they’re interviewing can do the task at hand. Yes, hiring for skillset is absolutely important, but just as much as you evaluate skillset, you must understand if the candidate is customer-centric, because you want to know if that potential employee knows how to care about a stranger. Yes, I said do they know how to care about a stranger? When you hire new employees, you are asking them to deliver an experience to someone they do not know. Ultimately, that’s asking them to take care of a stranger. Of course, you hope that they build such great rapport that that strengthens the relationship, but for someone to do this each and every day authentically, it requires them to have something that I call people-first DNA. How do you measure whether that candidate will be able to take care of a stranger? Well, there are a few things that I coach my management team on to be able to identify this. The first is when you call them for their phone interview, how do they answer their phone? Do they sound excited to hear from you? Do they have a lot of questions? Is their enthusiasm high? Next, I’ll ask a customer-centric related interview question, and it goes like this. I say, “Tell me of a time when an organization delivered an experience that you have never seen before,” and allow them to elaborate. Pay attention to how detailed they are. Were they able to name the employee who delivered that great experience? Ask them how that made them feel. Now, the answer’s irrelevant, but what you want to pay attention to is how does the candidate answer a question that they do not know the answer to? As consumers, how many times have you been in a department store or a grocery store and asked an employee a question that they didn’t know the answer to? Did they go out of their way to find that answer, or did they simply just look at you blankly and say, “I don’t know”? If the candidate says, “I don’t know the answer to your question, but I’ll find out for you,” move on to the next question. If they send you an email later that day and say, “Thank you so much for the opportunity to interview with your company. By the way, the answer to your question is X. Thank you very much,” I would highly consider hiring that candidate because that’s exactly how they’re going to behave when your customers inevitably ask them a question that they do not know the answer to. There you have it. That is how you can improve your company’s customer experience by refining your interview process. Your organization’s customer experience will begin to improve when you make the decision to only hire customer-centric individuals who have a people-first DNA. I want to hear from you. Answer this question in the comment section. What is the most unique interview question you’ve ever been asked or have heard? Thank you so much for watching. 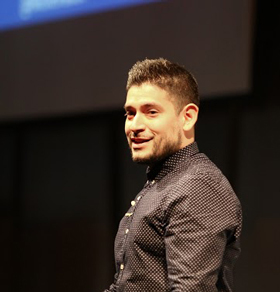 If you’re interested in learning about my keynote speeches or my private workshops to improve your company culture, customer experience, and employee engagement, head over to MichelFalcon.com, and I will see you next time. Get my Six-Step Interview Process here >> https://get.michelfalcon.com/interviewplaybook/?